What should the new avatar of HR professionals be? Read on to find more. Quite recently, we discussed the metamorphosis of HR in the digital world. While it's true that the wave of "digitization" is sweeping across the length and breadth of HR, concepts like "digital HR" and "HR function transition to data enabled" are on their way out already. Most talks or discussions these days are directed towards "Cognification"- AI, IoT, and Open Source cloud platforms touted as the technological foundation for the next level HR applications. However, HR is a function run by individuals, how does all this impact them or transform them even? HR professionals have always been portrayed as the stringent ones; the stuck-up group who like to quote rules and protocols every now and then. Seems almost robotic, if one were to visualize the scene. And if stats are to be believed, HR professionals do need a makeover. And, while not listed explicitly, sometimes even doubling up as the L&D. That’s definitely a lot to deal with. So, how do we ensure that the HR professionals in the organization are competent enough? Is there a special kind of training or test to churn out the best? As mentioned in a HuffPost blog by Meghan M. Biro, “With Millennials making up more than half of the current workforce — and predicted to make up 75 percent by 2020 — HR is going to have to embrace and build on technological advancements to meet both employee expectations and business requirements.” This begins with HR professionals embracing the new world of technology and learning from their digital savvy colleagues. This also means revamping and restyling their overall outlook to meet that of the digital workplaces. So, what should the new avatar of HR professionals be? In his book ‘Human Resource Champions’, Dr. Dave Ulrich, a true HR Management Guru and a professor at the University of Michigan, provides a framework that identifies four distinct roles of human resource professionals: Strategic Player, Administrative Expert, Employee Champion, and Change Agent, and urges that the true change lies in the change of attitudes from that of "what I do" to "what I deliver". The HR Professionals in their new avatars must be strategic players, who are business savvy to be a part of the organization’s executive table. Taking the right decisions related to recruitment, working constantly to monitor performance development (learning, training, compliance, CPD - the whole nine yards! ), drawing up plans for rewards and recognitions, managing the appraisal system, tactical pay and overall employee development. For doing so, they should ideally think out-of-the-box, be actively aware of the finances of the organization and play a vital role in cost reductions of all HR programs and processes, which may or may not include L&D too. They should be the providers of talent management strategies, curators of employee development and employee assistance programs - all rolled into one. Change often lies in the best utilization of the opportunities and the role of HR professionals lies in finding such opportunities that increase the effectiveness of the organizational functions. Tech-enabled change in HR has been beyond belief. Cloud technology entirely decluttered HR offices by collecting employee information through simplified forms and automation. Tax forms, payroll data, performance reviews, and contact information can now be easily archived and organized in one secure location. And with the integration of LMS and HRIS, the load of data entry has greatly reduced and so have the information discrepancies. This also allows HR professionals to spot the patterns between training and turnover and then find opportunities to optimize them. The results of using an LMS to deliver onboarding training have been quite impressive too. An integrated approach also assists in Change management, while keeping the organizational culture intact. Keeping track of all the changes in local and international laws and regulations, translating them into policies and practices to keep the organisation up to speed, ensuring compliance (an LMS makes management of Compliance Training fairly simple) and that too at the cost of employee satisfaction is a lot to handle but made easy with technology. 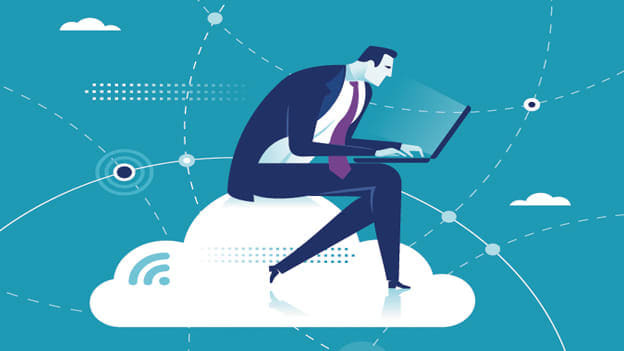 HR professionals, now, also take care of the L&D, utilizing the features of cloud-hosted LMSs to keep the employees up-to-speed. For HR professionals, the makers of digital HR, it's all the part of their craft, the one that they have to constantly refine, in order to meet all the requirements of the digital workforce in a digital workplace.